How Far is Radiance Sudharma? Radiance Sudharma is a residential project of Radiance Realty Developers that is located in Ponnurangam Nagar, Chennai. 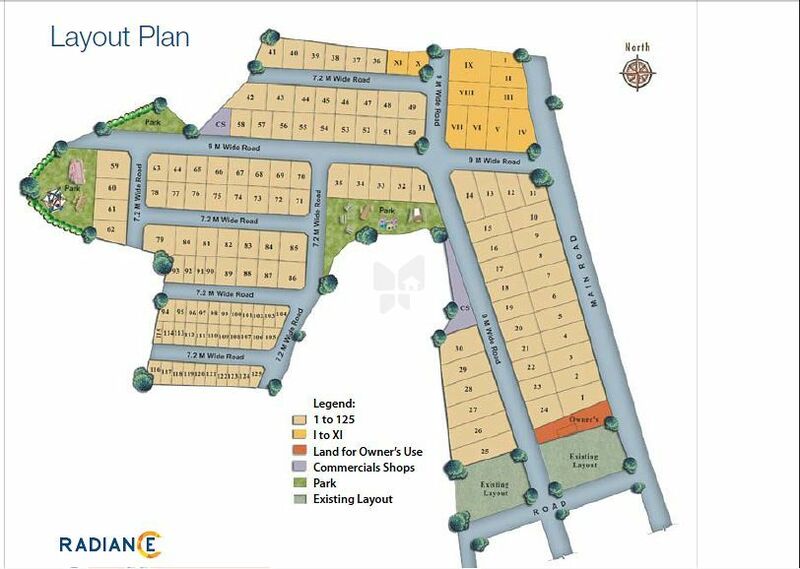 It offers residential plots with all the basic amenities to facilitate the life of residents. At Radiance we are focused on creating quality residential spaces for you to live and enjoy every moment of life with your family. Each of the residential complexes are specifically designed to give you a five-star experience. The Radiance Mandarin one of the ready to occupy projects by the builder, one of the remarkable project located in Thoraipakkam, OMR, Chennai. Our objective is to meticulously plan to use the best techniques adopt latest technologies and deliver the most modern luxurious spaces to make living joyful and comfortable. The Radiance Mercury one of the project suitable for First – Time Home Buyers, located in Perumbakkam, Chennai. In 1949 they established NAPC, a leading construction company in Chennai, India and the Middle East. In 2012, NAPC Properties evolved to become Radiance Realty Developers India Ltd. Built on the pillars of Quality and Integrity, Radiance Realty is the edifice that emphasizes on delivering the highest possible standards to its customers. The Radiance Empire one of the luxury project by the builder is an under-construction project. The builder is established in Chennai, Bangalore and has been developing many remarkable projects in Major Residential Hubs. If you are looking for properties to invest in Realty, then this builder is one of the best options as they have developed projects in areas where you would get good returns. The projects of the builder have been a great success and has been only developing projects around the major suburbs of Chennai and Bangalore. Safety in Construction is neglected in India. Radiance Realty takes utmost care to ensure the Safety of employees as well as Customers. Special care is taken from construction to the final stages of development so that each Property is Truly Safe. Radiance Realty takes great pride in the quality of Projects and continuously strive for Improvement. The Quality of construction truly sets Radiance Realty apart and has been appreciated by both customers as well as Key Bodies of Authority. Radiance Realty is equally committed to all Stakeholders— Customers, Joint Venture Partners, Employees and Vendors.